Our programs operate throughout the day on weekends, during the Christmas and Spring Break periods, and during the evening of Wednesdays from January and February. • Training and full subsidize of a Canadian Ski Instructor Alliances Level 1 Course and can also be count towards high school 10 (2 credits). B. Complimentary Staff Season Pass. • For a minimum of 60 hours on-hill volunteering throughout the season plus 2 training days –volunteers will receive a complimentary staff season pass & Seymour Shuttle Bus Pass. 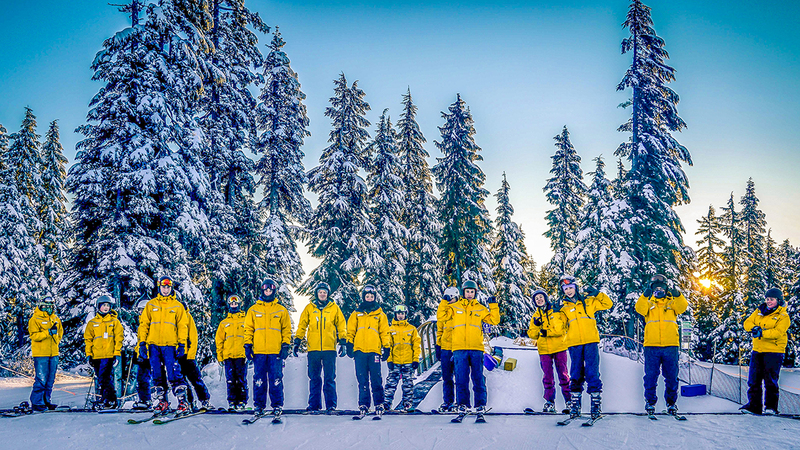 • For a minimum of 80 hours on-hill volunteering throughout the season plus 2 training days –volunteers will receive a complimentary staff season pass & Seymour Shuttle Bus Pass plus a family pass for immediate family. (Normally this option is restricted to adults age 19 plus or volunteers who have completed at least 1 previous season). Please note we have met our intake of volunteers for the Winter Holiday period and now will be accepting applications to begin Mid-January.